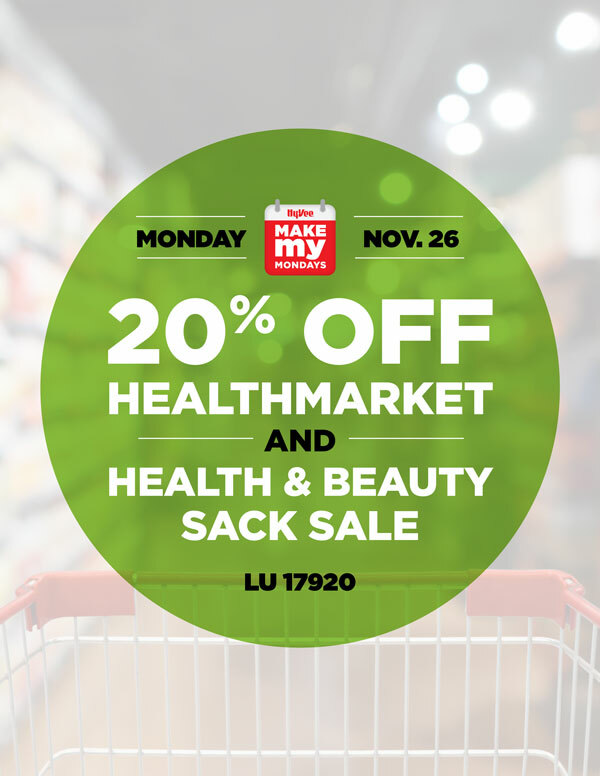 Save 20% off HealthMarket and Health & Beauty items during our Make My Monday sack sale with LU #17920. Sale valid Monday, November 26 only. Restrictions apply. See store for details. In-store only.